Showing every sign of good sense and more than a little good taste, the world has finally embraced the ancient Italian confection known simply as Twice Cooked. You might be wishing for a more romanticized, less workaday sort of name. Still, ever since the Roman legions discovered that these cookies retained their quality for days or even weeks after coming out of the oven, Twice Cooked have been a beloved part of everyone’s packing. We know them not in English as Twice Cooked, naturally – but by their name in Italian, biscotti. The singular is biscotto. But really, who can eat just one? Biscotti can be found, and purchased, all over the world in virtually any supermarket, usually among the many cookies with a lot less interesting stories to tell, featuring no Roman soldiers marching the backroads of Pax Romana. All the same, the true Kingdom of Biscotti has got to be Tuscany, a region conquered by the Romans early in their empire-building, since it was just up the road compared to Palestine, Egypt, Spain or Britain. 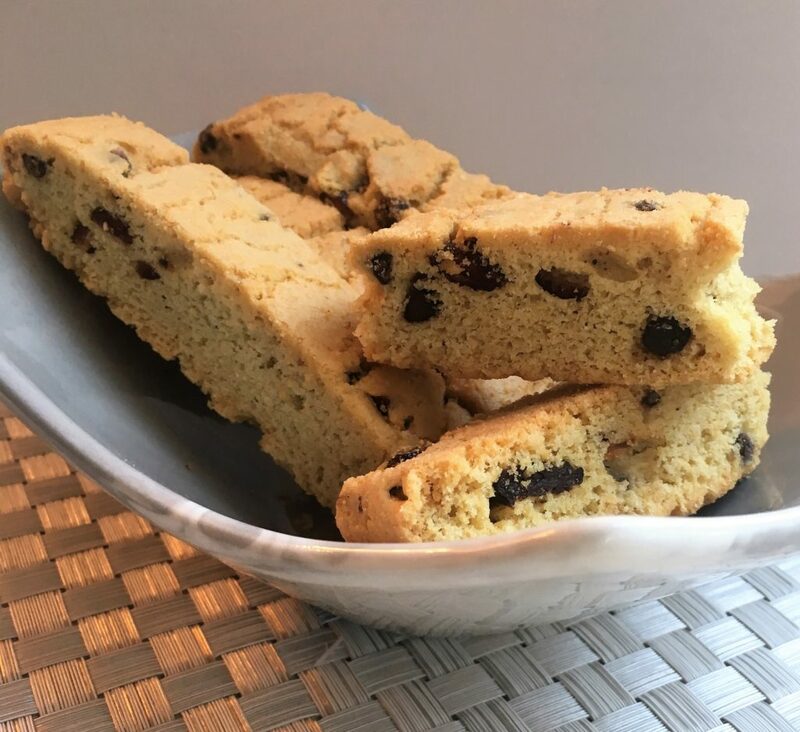 It was here, in Florence of the Renaissance and especially in the town of Prato, that memories of Roman biscotti took hold of bakers’ imaginations and became a local specialty. They were made with crumbled almonds originally, a flavor found to pair especially well with the sweet dessert wine called vin santo. To this day, any Tuscan meal worth its Chianti ends with biscotti dunked in vin santo, moments before the espresso starts showing up. In Tuscany, don’t get confused about word use. The proud people there still prefer their own dialect despite being conquered in the name of Latin that evolved into “national” Italian, well, a long time ago. They insist on calling their biscotti “cantucci” – as in the famous Cantucci di Prato – and you might find products in our own stores named that as well. To Tuscans, biscotti is a more generic word and refers to any old cookie, though of course all cookies are by no means baked twice. Regional pride isn’t always logical. Especially in Italy. While buying cantucci, or biscotti, at the store is easiest, they are not difficult to make. You simply, as the name biscotti implies, have to cook them twice – the first go-round as a log, the second time to harden and dry as individual sliced cookies, a shape you are sure to recognize. Virtually any flavor can be good, and indeed has probably been done before. Every region of Italy has its own preferred flavor. And now you can too. Though any flavor of biscotti is just fine with us, whether as a treat with coffee in the morning or a sweet pick-me-up in mid-afternoon, we especially like what happens when pieces of cherry and slivers of almonds from our popular jam join the fun. And like just about anything baked, cooking this biscotti twice will make your house smell wonderful. Preheat oven to 375 degrees. Line a baking sheet with parchment paper. In a mixing bowl, cream together the butter, shortening and sugar on medium speed until light and fluffy, about 2 minutes. Add the eggs one at a time, beating well after each addition, and stopping to scrape the sides and bottom of the bowl between additions. Beat in the vanilla extract, jam, baking powder and salt. Reduce the mixer speed to low and gradually add the flour until incorporated. Add the chocolate chips and mix on low speed briefly to evenly distribute in the dough. Turn out the dough to a lightly floured work surface. Divide the dough in two and shape each piece into a 12-inch log. Transfer the logs to the prepared baking sheet and, with damp fingers, lightly flatten the logs to about 3 inches wide. Bake for 20 to 25 minutes, until the logs are lightly browned around the edges. Remove from the oven and let rest for 20 minutes. Reduce the oven temperature to 300 degrees. Transfer the logs to a cutting board and, using a serrated knife, slice them on the diagonal into ¾-inch to 1-inch slices. Return the slices, cut-side-up, to the baking sheet and bake for 15 minutes, then turn them over and bake for an additional 15 minutes. Remove from the oven and allow to cool completely. Store in an airtight container at room temperature for up to 2 weeks. Makes about 3 dozen biscotti.